Call in to our shop, or browse on-line. 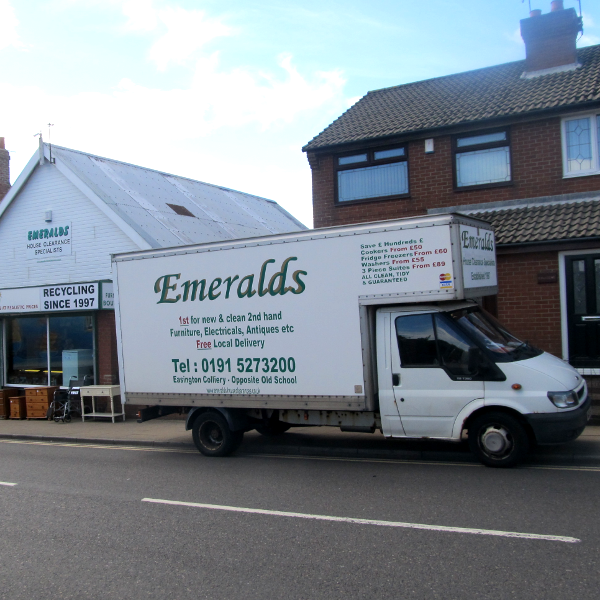 Fine selection of quality items with helpful staff and local delivery available. We stock furniture, antiques, electrical items, jewellery, pottery, ceramics and much more. Stock changes daily. 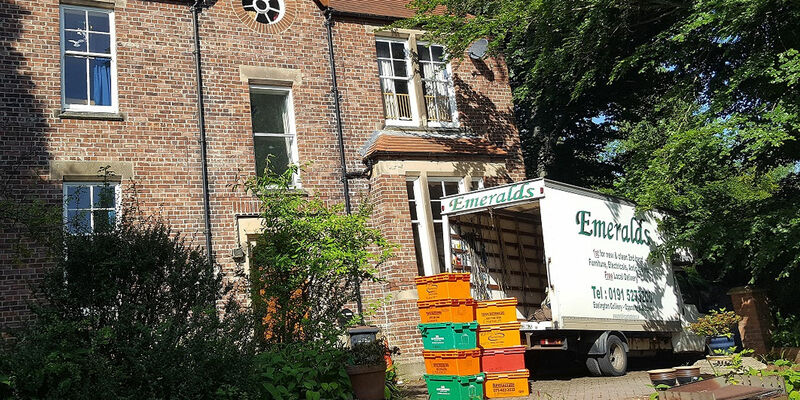 Emeralds a family run business situated in the heart of the North East of England. Established in 1997 to meet the ever increasing demand for quality second user furniture, electrical’s and household items. We also stock antique furniture, jewellery, porcelain and china. Centrally based in County Durham to cover the north east of England. 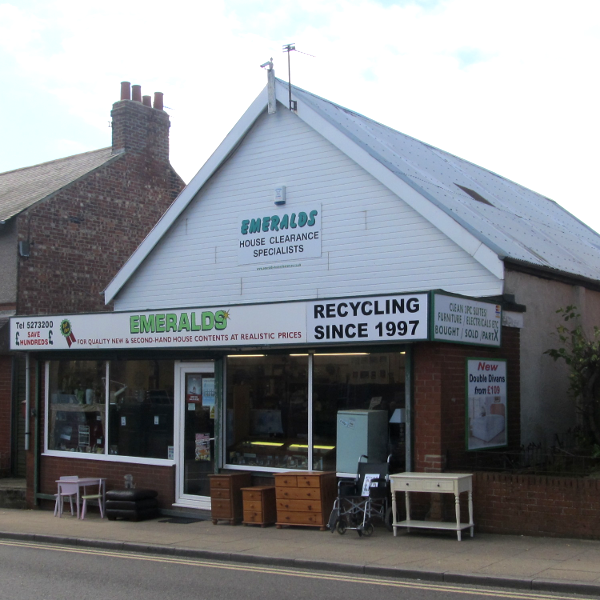 Our shop is located in Easington Colliery, only 1 mile from the main A19 trunk road. For waste disposal / house clearances we cover Newcastle in the north, through Gateshead, Washington and Sunderland. Central Durham through to Peterlee, Hartlepool, Stockton, Middlesbrough and Darlington in the south. All towns and villages in between. Contact us or call into our shop. Aladdin’s cave of ever changing interesting items on display. We may have just what you are looking for. Friendly helpful staff always available. Huge savings, items sold at a fraction of the original price. Modern traditional and antique furniture, electrical’s and jewellery always on display Ever changing stock Helpful knowledgeable staff on hand. Local delivery of items available. Lounge bedroom, dining room and kitchen furniture always in stock. Interesting period pieces. Georgian Victorian Edwardian Art Deco and Niche contemporary. Pottery porcelain, china. Selection of old and contemporary pieces and sets. Gold silver and costume jewellery. Watches bracelets, broaches, rings and necklaces. Range of stock: cookers, fridges, TV’s, washing machines, microwaves and more. Call in to our shop. WE may have just what you are looking for.